Happy Hamby Campers: Yay for Yea! We'd stopped at Yea on Friday evening, to refuel and buy ice-creams. We'd admired the hay-bale bees, so kept looking for them on the way home. Eventually they were spotted at the gate to the Yea Wetlands. 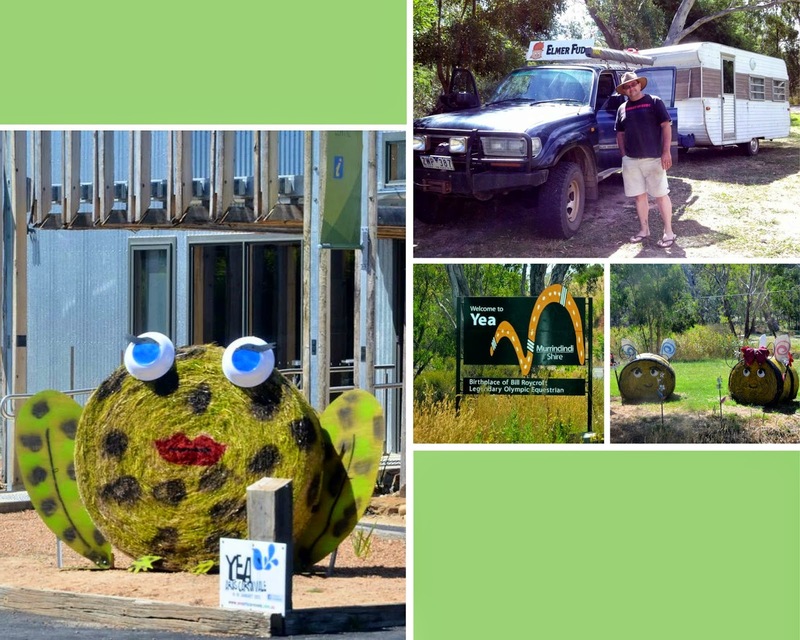 We continued driving into town, where we saw the newly painted frog in front of the information centre! (He/she had just been a plain hay-bale on Friday). Vaughan was keen for another ice-cream Yea break, so we purchased some and then enjoyed them at a picnic table in the Wetlands area, not far from the bees.